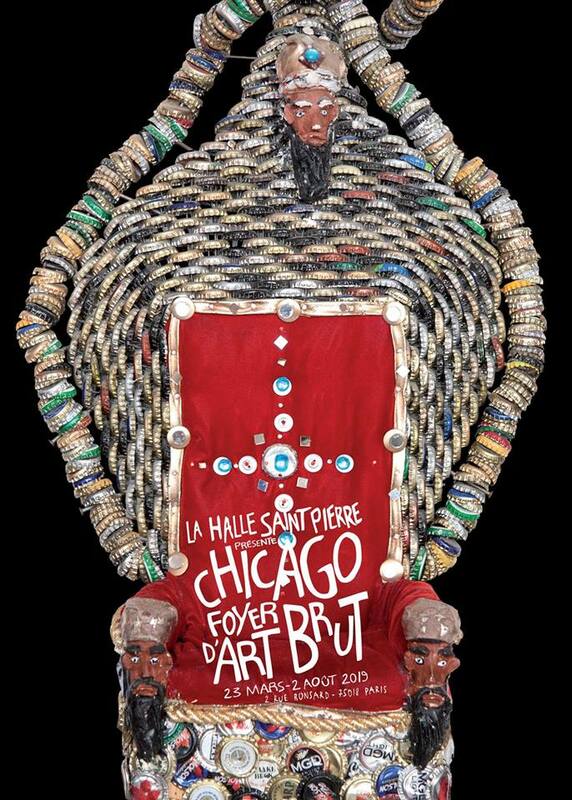 Opening in Paris this Saturday, March 23, Chicago: foyer d'art brut (Intuit's Art Design Chicago exhibition, known in the United States as Chicago Calling: Art Against the Flow) explores Chicago's unique history as an epicenter for outsider art. Curated by Kenneth Burkhart, an independent curator, and Lisa Stone, curator of the Roger Brown Study Collection of the School of the Art Institute of Chicago, the exhibition presents intrinsic themes embodied in the works of 10 Chicago artists: Henry Darger, William Dawson, Lee Godie, Mr. Imagination, Aldo Piacenza, Pauline Simon, Drossos Skyllas, Dr. Charles Smith, Wesley Willis, and Joseph Yoakum. Organized and traveled by Intuit, the exhibit premiered at Intuit from June 29, 2018-January 6, 2019, in Chicago. The exhibition tours to Halle Saint Pierre (Paris, March 23-August 2, 2019), Collection de l'Art Brut (Lausanne, March 6-August 30, 2020) and Outsider Art Museum (Amsterdam, September 2020-March 2021). Chicago: foyer d'art brut is part of Art Design Chicago, an initiative of the Terra Foundation for American Art exploring Chicago's art and design legacy, with presenting partner The Richard H. Driehaus Foundation. Intuit has received funding from the Terra Foundation for American Art to support the exhibition, catalog and international travel. Additional catalog funding is provided by the Elizabeth Firestone Graham Foundation and the Dorothea and Leo Rabkin Foundation.